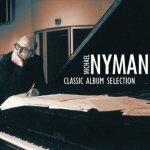 Bit of a misnomer this really as the title suggests this might be some of Nymans concerto�s or opera�s whereas in fact it is a collection of his better known soundtrack albums including three for Peter Greenaway (The Draughtsman�s Contract, Drowning By Numbers and The Cook, The Thief, His Wife & Her Lover), his best selling work on Jane Campion�s The Piano and, the most recent (and apparently his own favourite), the soundtrack to Michael Winterbottom�s Wonderland, all of which are terrific in their own way and, at this price, are a cost effective way to dip into Nyman�s own brand of Reich/Riley-esque repetitive, modular, minimalism. There�s little in life as reliable as a new Mot�rhead album. You know what to expect and, regular as clockwork, Lemmy and Co. deliver. 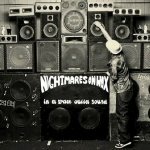 Twenty one (studio), albums in and the thunderous �head racket continues unabated, and I do mean unabated as whilst most rock and roll acts mellow with age Mot�rhead only know how to do �nutting a brick wall, balls out, gonzo metal� and Aftershock is brim full of just that. 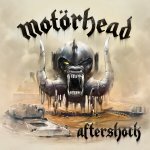 Lemmy may be 68 this year (and currently recovering from being a bit poorly), but he�s gonna be making albums this hi-octane until the day he keels over, here�s hoping there�s a good few still to come. 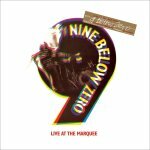 Part of Universal Music�s new catalogue reissue imprint �Re-presents� Live At The Marquee was originally released in 1980 as Nine Below Zero�s debut album (having only released a self-produced EP up to this point), and if a live album seems a strange thing to pick as a debut the decision was almost certainly deemed preferable to trying to replicate the bands fearsome live reputation in the studio and perfectly captures their full on Animals meets the Pretty Things blues-rock with a hefty side order of punk attitude bombast in all its sweaty glory. Now including extra tracks and DVD footage, if you love Dr. Feelgood you will adore this. Norken & Deer � who, for those of you keen to know such things, are Lee Norris, who is also Metamatics and part of Tone Language and Nacht Plank, and Martin Hirsch who is also a busy chap but doesn't have loads of different names � having successfully linked up on the �Shoot The Sun� EP now go the whole hog and offer up this full length collection of techno, house and ambient driven grooves most of which sound like lost cuts from the mid nineties (and no this isn�t a bad thing), it�s a pleasingly diverse bag of goodies, and If you miss The Drum Club, Ultramarine, Spooky and Biosphere you will find much to love here. Just a quick mention of the ignorant racists whose Amazon reviews take exception to Giancarlo Erra singing in English with an Italian accent, an apparently heinous crime for an Italian (wonder if the reviewers in question speak anything other than English? The twats). 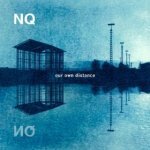 So vocals aside (which are fine by the way), this is the latest instalment in Giancarlo�s Nosound project and fans of those other fine Kscope outfits Anathema and Porcupine Tree (in fact ex Porcupine Tree percussionist Chris Maitland joins Erra here, as does cellist Marianne De Chastelaine) will find much to love on this beautiful, lush, prog/post-rock follow up to A Sense Of Loss. 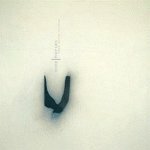 Having reckoned their last album was a �lovely mix of Portishead style ambience, Bjork-esque vocals and some proper bowel loosening dub-step bass all wrapped up in electronic post-rock choons� I have to admit I was very keen indeed to hear this, their follow up album, and I am happy to report it�s a further step along the road signposted on debut Condor, only this time clattering drum and bass and goosebumpy glitch are added to the, already wonderfully volatile, mix, the results delivering far more than the sum of their parts, in fact the only depressing thing is that it�s highly unlikely this will reach the size of audience it deserves. 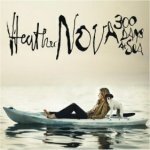 300 Days At Sea is the 12th album Heather Nova has released since her 1993 debut Glow Stars and quite possibly the best thing since that early effort (and the equally fine Oyster). 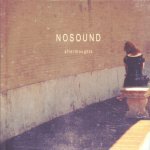 Not that her later albums don�t have their highlights � 2003�s fine Storm featured backing from Mercury Rev, and many of her albums have been cherry picked for movie soundtracks � it�s just that there�s plenty to discover here and from cracking lead-off single 'Higher Ground' it�s apparent that a full band sound is back and, keeping the carbon footprint minuscule, was recorded entirely at a solar powered studio in her Bermuda home. Quite the most idiotically named of the numerous available idiotically named dance genres - see also Illbient, lowercase, doomcore, chillwave, hardbag and, our personal favourite, Skweee - you will find NQ (Nils Quak to his mum) in the IDM, or intelligent dance music, section of your record shop, if indeed you�re lucky enough to have access to such a thing anymore. Ignore the label because what you have here is a wonderfully atmospheric collection of twitchy ambience a lot of which was apparently produced whilst on long train rides between different cities to 'shut out the noises whilst watching things pass and resonate'. 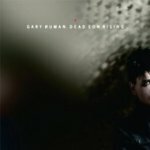 One of the first people to tell you that Gary Numan has some real stinkers in his back catalogue is Mr Numan himself. About as far removed from the aloof Tory-boy portrayed in the early �80s pages of the NME as is possible to imagine Numan is in fact a creative spirit who doesn�t always find the right path but when he does, he is a force to be reckoned with as Dead Son Rising, ostensibly a hoovering up operation of his previous albums leftover demos, proves, from brain pummeling goth-rock to darkly atmospheric ambience this is a fine collection which bodes well for the next album proper. 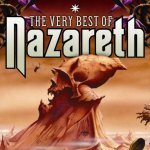 Following hot on the heels of a major reissue campaign we now have, without doubt, the most comprehensive Nazareth retrospective ever produced featuring 69 tracks spread over 4 CD�s and packed up in a pretty hefty box (complete with a 64-page booklet which includes an essay by Joel McIver, plus many rare and previously unseen photographs). Including all their hit singles, plus oodles of previously unavailable recordings and nine never-before-heard studio tracks. 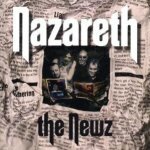 Unlike many of their peers Nazareth are still going strong today (and still feature original members Dan McCafferty and Pete Agnew) celebrating their fortieth anniversary in 2008 and this is a well presented, and well deserved, tribute to a fine band�. 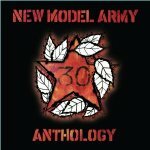 Celebrating thirty years of making music (yes, they do still make music, their last album Today Is A Good Day was released in 2009), and this anthology � there is also a five disc version boasting 2 x CD�s and 3 x DVD�s � does a pretty good job of casting a career spanning net across a band who have been variously described as crusty, punk, alternative, indie plain old rock and folk rock and in all honesty they do actually hit most of these marker bouys here [enough with the sailing metaphors Ray - Ed] and the passing years have done nothing to dim the righteous anger of Justin �Slade The Leveller� Sullivan�s lyrical barbs. 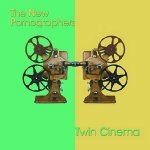 Boasting possibly the worst band name since I'm From Barcelona and an album cover that looks like it was drawn by someone wearing mittens you do have to wonder whether Matt Parker, Chris Amblin and Ayu Okakita actually want to sell any CD�s? 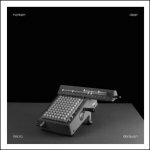 Fortunately for you we weren�t put off by such frippery and we�re bloody glad we weren�t too as this is a lovely mix of Portishead style ambience, Bjork-esque vocals and some proper bowel loosening dub-step bass all wrapped up in electronic post-rock choons. 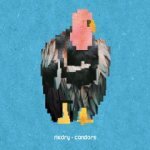 This type of genre melding is becoming ever more popular, but it's a bugger to pull off, Nedry make it sound effortless. 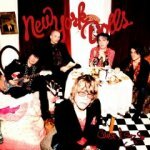 Hard to believe perhaps but this is actually only the New York Dolls fourth-ever studio album, and given that the majority of the band are no longer with us - David Johansen (vocals) and Sylvain Sylvain (guitar) are the only Dolls still above ground � you might be forgiven for thinking that this is going to be a teeth-grindingly embarrassing affair, you would however be wrong as Johansen and Sylvain may look like they could do with a quick going over with a steam iron but they still spark and fizz like proper scuzzy old skool punks and re-uniting with debut album producer Todd Rundgren was an inspired choice. Part of the Rhino re-issue of the band's first five albums � all double disc collectors editions, and all including bonus discs featuring extended versions, b-sides, remixes and instrumentals, as well as extensive sleeve notes, including new interviews with all four band members. 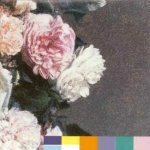 Of course long time New Order fans will already have pretty much all of this but if you missed the boat the first time around then Power Corruption & Lies is definitely the place to start as the band finally shook off their Joy Division shackles here, and the bonus disc includes 12� remixes of �Blue Monday�, �Thieves Like Us� and �Confusion�..
It�s only 10 tracks and 35 minutes long, but where to start when there are so many highlights? Maybe it should be with the title song�s none-more-dry account of a run-in with heavenly emissaries (�Lucky for you this ain�t your time/Someone very dear to me has made another clerical error�), or perhaps with �Potholes�, a consideration of ageing�s effect on memory so acute that it should have you laughing out loud on at least three occasions. 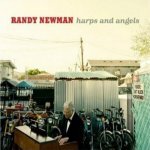 Set to Randy�s trademark rolling grooves and vivid orchestration, and with the great man in fine form throughout, Harps and Angels is an unmitigated triumph. In these days when more or less anyone can crop up on more or less anybody else�s albums (Tony Bennet and Bono! Cliff Richard and Bryan May!! Elton john and everyone in the known world!?! 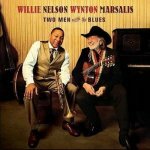 ), who would have ever thought to hear the words Wynton Marsalis & Willie Nelson mentioned in the same sentence? And yet (you just knew there had to be an �and yet�), it works, not in any ground-breaking or gob-smacking way, Two Men... is after all unapologetically easy listening, but don�t go confusing easy listening with Muzak, this is not background music, this is music made for the pure, unadulterated fun of it. Never the coolest of the UK�s late �60s/early �70s rock acts, quite possibly due to their penchant for belting out power ballads (like their massive hit cover of �Love Hurts�), but there�s no doubting they were up there with AC/DC in the riff driven rocker stakes, and could crank it out when they wanted to, something they have continued to do for forty years now, releasing thirty odd albums along the way. So what do Nazareth 2008 sound like? Well more or less the same, which given Dan McCafferty�s much aped, throat shredding, metal yelp is bloody remarkable, and �Liar�, �Warning� and �Road Trip� are as good as anything they've ever done. 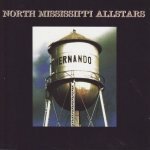 Released on their own label Songs Of The South - which gives you a hefty clue what you�re going to hear � and with their producer dad Jim Dickenson (Big Star, The Replacements), behind the desk, Luther, Cody, and bass player Chris Chew, have created a much tougher proposition than their Grammy-nominated 2005 release, Electric Blue Watermelon, mixing up classic southern rock with scuzzy blues and Robin Trower style guitar licks, and aside from a brief loss of direction mid-set (on bog standard bar room boogie �Mizzip� and sub two minute rockabilly throw-away �Blow Out�) Hernando proves to be a top slice of noughties blues rock. One of those bands that are cool to namedrop in interviews but are more or less unknown in the real �going out to work and paying the bills� world, which is a shame because On Avery Island is positively bursting with ideas. 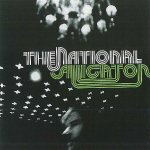 First released in 1996 this is probably best described as experimental lo-fi indie folk and both this and follow up In The Aeroplane Over The Sea are rightly regarded as great lost classics with bands as diverse as Franz Ferdinand and The Arcade Fire citing Neutral Milk Hotel as influential. 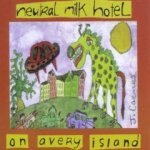 Let�s hope this re-release means we�ll see NMH main man Jeff Mangum back in action soon. Justin Sullivan (or the man previously known as Slade The Leveler) has been at this uncompromising, humanitarian, anti-imperialist, pro-environmental folky-punk lark for quiet a while now (his band have been banging away since 1980) and despite being about as popular with the music press as, umm, the Levellers or Marillion, continues to release fine, narrative driven albums, his vocal style a cross between Richard Thompson and Tom Robinson. This is thought provoking stuff, with enough oomph to ensure if you don�t give a stuff about trashing the planet you can still happily bop along while the world slowly grinds to a halt. If like us you hold the New Pornographers debut album Mass Romantic as a shining beacon of beautifully crafted pop music (yes, that�s right, pop music), then struggled to find the same immediacy in follow up albums Electric Version and Twin Cinema � although both had their own inspired moments � you will possibly be approaching the release of this indie supergroup�s latest with a deal of trepidation. Well you can relax, it might not be Mass Romantic V2 (you can never recapture the shock of the new), but this is the album most of us were hoping would follow their debut loaded with infectious hooks and proper pop music. 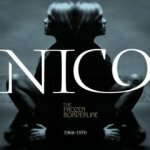 In direct contrast to her debut album Chelsea Girl where Nico wrapped her icy vocals around other people's songs all the lyrics and the bare bones of the music were written and ready for her second album and, with the help of John Cale on numerous instruments, it couldn�t have been further removed from her debut if she had recorded it on Mars. More or less completely abandoning conventional structures and instrumentation The Marble Index was an utterly astonishing, mermerising piece of work. Bundled here with follow up Desertshore and extra tracks, it still makes for fascinating, if hellishly uneasy, listening. Go on, admit it, who thought this was going to be a stinker, especially given their stoned, underachieving recorded-in-a-tin shed original albums, the fact that three fifths of the band are jamming in Hades, the joint ages of Johansen and Sylvain are well in excess of a century and the title is as unwieldy as one of Sylvain�s horrendous beret�s? We certainly did, and we�re happy to admit we were totally wrong as it�s jam packed with the sort of sleazy Stones meets Shangri La's garage ramalama fans prayed the original efforts would contain. Pick up the special edition two disc release for some entertaining �making of...� DVD extras. Taking their lead from the likes of DAF, Einst�rzende Neubauten and Cabaret Voltaire Douglas McCarthy, Bon Harris and David Gooday (later replaced by Julian Beeston for live shows) took the whole aggressive industrial approach to music making into even darker areas marrying their hypnotic Morodor-esque sequences to the murderous intensity of Killing Joke and distinctive (oft emulated) shouted/chanted vocals. 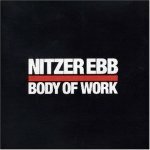 This two CD collection covers pretty much everything Ebb virgins might want from their first single in �84 �Isn�t It Funny How Your Body Works� right up until final single release �I Thought� (95). Formed in Scotland at the arse end of the �60s (their name taken from Band song �The Weight�) Nazareth wouldn�t actually make more than the tiniest of ripples until their 1973 hit 'Razamanaz' � quite possibly the daftest reference to shagging ever coined � their Alex Harvey meets Slade via AC/DC racket perfectly suiting the prevailing music scene�s penchant for chugging boogie metal. The first stirrings of punk, and a couple of last gasp covers (�Love Hurts� and �My White Bicycle�) saw the end of their chart action in the UK, but the band are still working today, and this fine career spanning collection includes all the hits and more. George Evelyn has been beavering away under the Nightmares on Wax moniker since the release of A Word of Science back in the dim distant early �90s - and there�s many a clubber who swears by Carboot Soul as one of the apre clubbing downtempo albums of the era � so those of you keen to reacquaint yourselves with NoW�s b-boy beats won�t be disappointed to learn that his latest effort is once again anchored firmly in the blunted hip-hop meet reggae vibe of old, only this time Evelyn�s love of classic old soul moves way beyond the odd snatched sample ensuring a much more rounded and consequently far more accessible album. Nine Horses is David Sylvian, brother Steve Jansen and electronics supremo Burnt Friedman, and it's to be hoped that the soubriquet they have adopted for this one-off project does not throw their respective fans off the scent because this is a gorgeous collection of nine songs. As might be expected, the musicianship is exemplary - Ryuichi Sakamoto is among the contributors - but it's the sustained air of melancholy that makes Snow Borne Sorrow so affecting. Perhaps deriving in part from the demise of Sylvian's marriage, there is a real 'end of days' feeling here that lingers long after the album has ended. 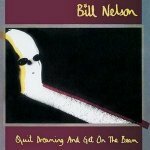 One of our most underrated home grown musicians Bill Nelson really hit his stride when his brief fling with the charts in Be Bop Deluxe and later new wave outfit Red Noise came to an end. 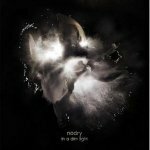 Solo Nelson was an altogether more creative and experimental artist and this re-mastered and expanded 1981 release still stands up exceedingly well today � as do The Love That Whirls (�82) and Chimera (�83), which also get the re-mastered and expanded treatment. Like that other pop star turned experimental outsider artist from the same era David Sylvian, Nelson�s footnote in UK music history deserves a much larger chapter. If it hasn�t already happened then you are going to hear bands like the Tindersticks and Leonard Cohen mentioned in conjunction with The National, due in no small part to singer Matt Berninger�s beautifully mellifluous baritone. Generally more upbeat than the �sticks and �ol Len The National hail from Cincinnati in the U.S. and this will be their third album (their last selling almost nothing, much like their first, but drawing admiring reviews from all sections of the press), and having heard this you are definitely going to want to hear the first two. Interested? Pop along here and see what you�re missing.